The newly sworn in Mayor of Harare Herbert Gomba has admitted to inheriting a city battling a number of problems including water shortages, poor state of roads, debts ballooning into millions and limited financial support from the central government among other challenges. 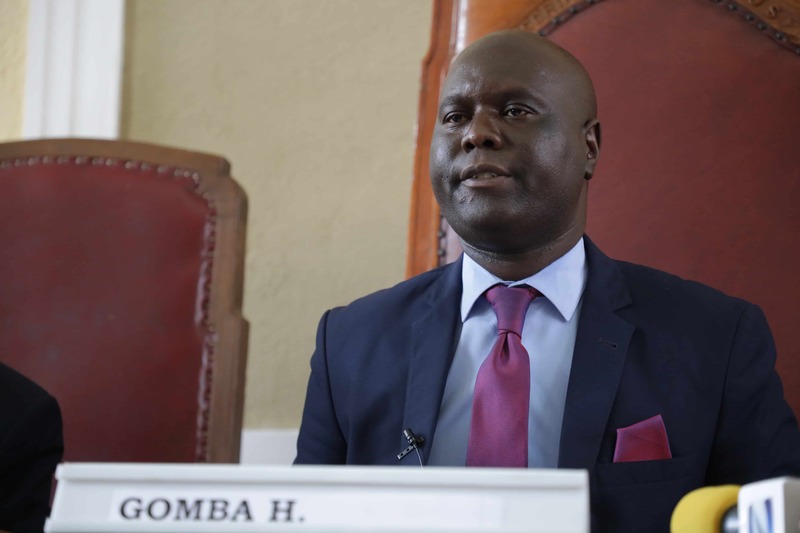 Gomba who is not new to Town House urged his compatriots to work for the betterment of the city, a task he reckons require a transformational agenda. “Our transformation agenda will be hinged on the need to increase revenue and contain costs. It’s high time we engage various private players in meeting the various needs of our residents. This is through Public-Private Partnerships (PPP) on the waste-to-energy project, sewer system rehabilitation, and road rehabilitation. “Our transformation agenda will also be anchored on the need to review the Harare Combination Master Plan and the Strategic Plan document and work towards attaining the 2025 goal. This will be done collectively, working together with all relevant stakeholders,” Gomba said. Decongestion, Roads Rehabilitation, and the economy. Harare is one of the most congested cities in Africa and this is largely due to poor road systems and less strict traffic laws. However, Gomba is of the view that a roadmap should be formulated so as to plan for the future construction of ring roads. we may not be able to construct them, however, in our time, we simply want to set the agenda for future implementation,” Gomba noted. The new Mayor implored the Government to pay through the National Budget, the 5% Constitutional allocation to local authorities which will help in service delivery. At a time when the central government is upping its open for business mantra, Gomba noted that councils should be allowed the latitude to reconnect with the outside world through exchanges, visits, and bilateral relations. “This can only be achieved if we are allowed to travel for the purposes of engagement and mobilization of financial support and resources. The government has emphasized re-engagement but we feel at our level we should be allowed full room to engage and source partnerships with the international community. We are the arm of Government closest to the people,” he said. Gomba called for divine intervention saying only through God will they be able to conquer the insurmountable task of returning the once sunshine city to its glory days. “I want to conclude by quoting Isaiah 40 verse 31 which says, Those who wait upon the Lord shall renew their strength, they will soar high on wings like eagles, they shall run and not be weary. And as we are faced with the difficult task of turning around the City, I too ask that the Lord renews our strength so that we won’t be weary and we shall prevail.=,” he concluded.